La Roche-Posay Hydraphase Intense Masque is an ideal face mask if you want something to soothe and calm rather than draw out impurities. The gentle gel-cream formula plumps up the skin, making it look and feel more moisturised, giving the complexion a more uniformly even appearance. The mask contains thermal spring water to help rejuvenate the skin, making it less prone to skin complains due to its natural anti-oxidant properties. The hyaluronic acid improves skin hydration, stimulates production of collagen, works as an antioxidant and free radical scavenger, maintains skin elasticity, and also has antibacterial and anti-inflammatory properties. La Roche-Posay Hydraphase Intense Masque is fresh and clean smelling, doesn't feel greasy or sticky, and has a silky consistency that feels extremely soothing on the skin. Used once or twice a week and applied for ten minutes each time, skin is left looking and feeling noticeably smoothed and softer. 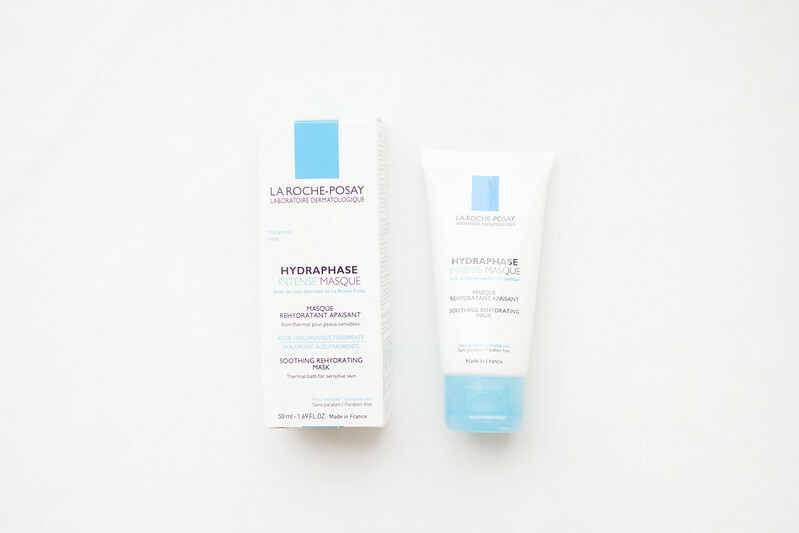 If you're looking for a complimentary step in your skin care routine, something to help rehydrate, improve suppleness, or to comfort sensitive skin La Roche-Posay Hydraphase Intense Masque is perfect. This mask has been on my radar! I'm a fan of La Roche Posay products, so this sounds perfect to me. I plan on finishing up the numerous masks still in my drawers before trying this one out, but I sure can't wait! I absolutely adore La Roche Posay, I can't wait to get my hands on this after reading your review!